The over-the-air radio programs on which Cy appeared during the course of his career were not, unfortunately, chronicled with any clarity or consistency. Indeed, for the most part we know of them only through references found in publicity articles or the like. Happily, however, transcription discs of some of the shows have survived. 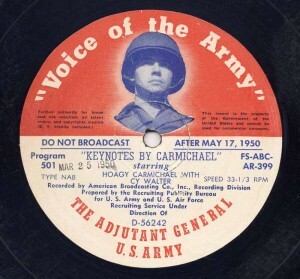 These radio transcription discs, similar in appearance to the commonly-known 12″ long-playing record (or “LP”) but more commonly 16″ in diameter, normally were pressed as a single record designed to retain a studio recording of the actual program that went out over the air. Duplicates were sometimes made at the performer’s request, and this is undoubtedly the reason that some of the ones now in the Walter family’s possession exist. 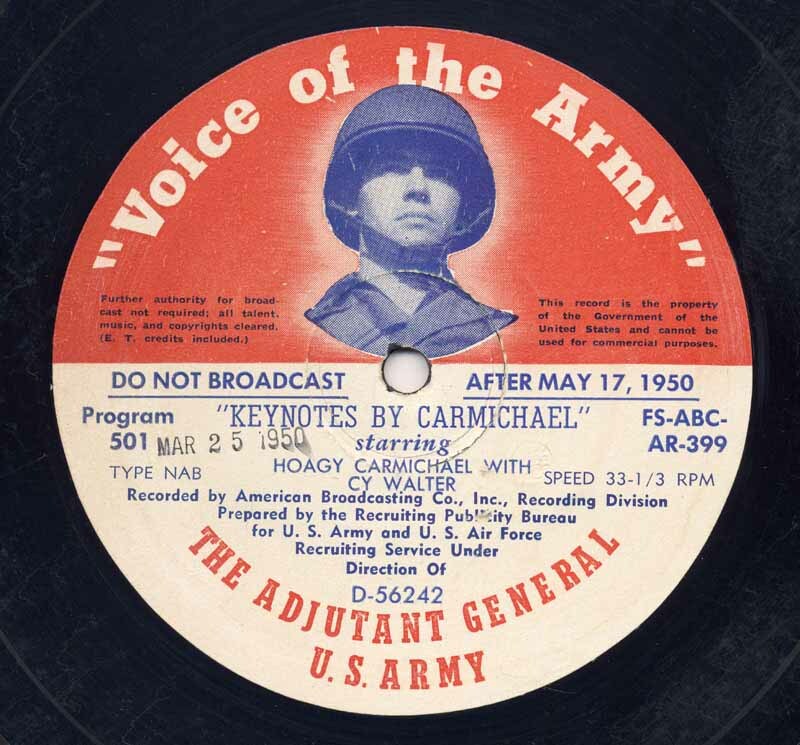 Other radio transcription discs were designed for distribution for playing by “deejays” on other radio programs, such as the Armed Forces Radio Service, the Voice of the Army, and the NBC Thesuarus records included here.